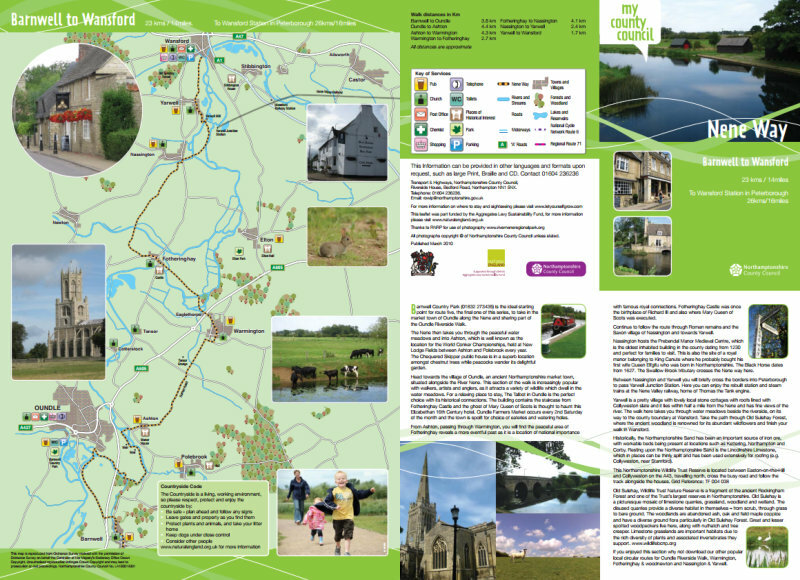 Please find a list of suggested walks and rambles near to Yarwell Mill Country Park. 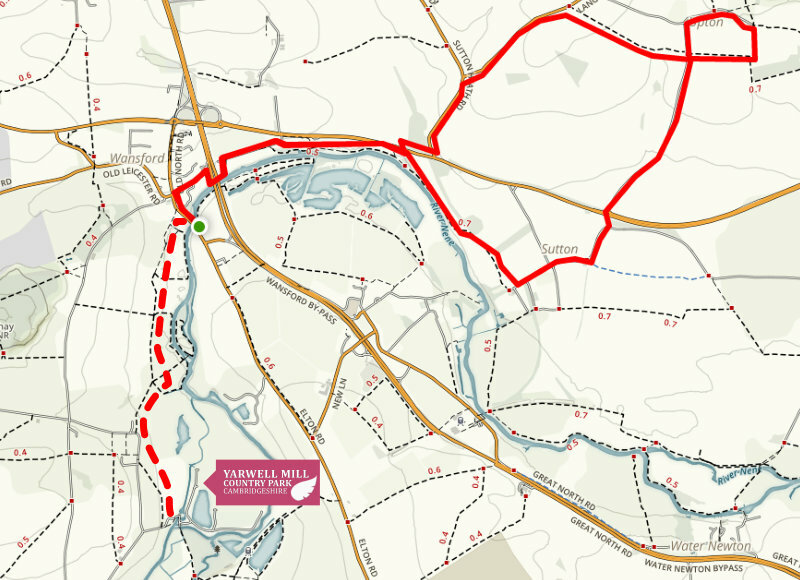 Description: A pleasant circular walk from the Park that takes you into Nassington, though the Old Sulehay Forest on to Wansford and then heads back to Yarwell along a stretch of the Nene Way. 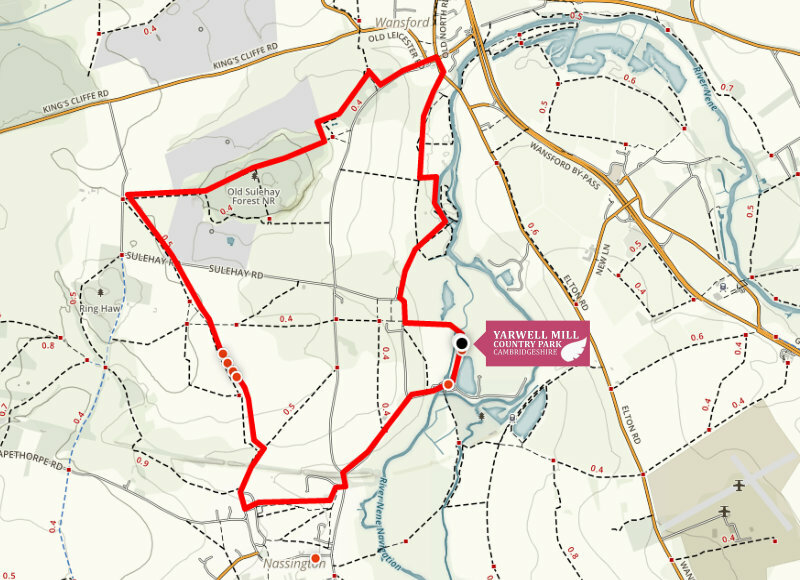 Description: A partial circular walk that can be started from Wansford or from Yarwell (add 3 miles). From Wansford the route takes you across country through the small village of Sutton and up and through the even smaller village of Upton before returning via small country roads. 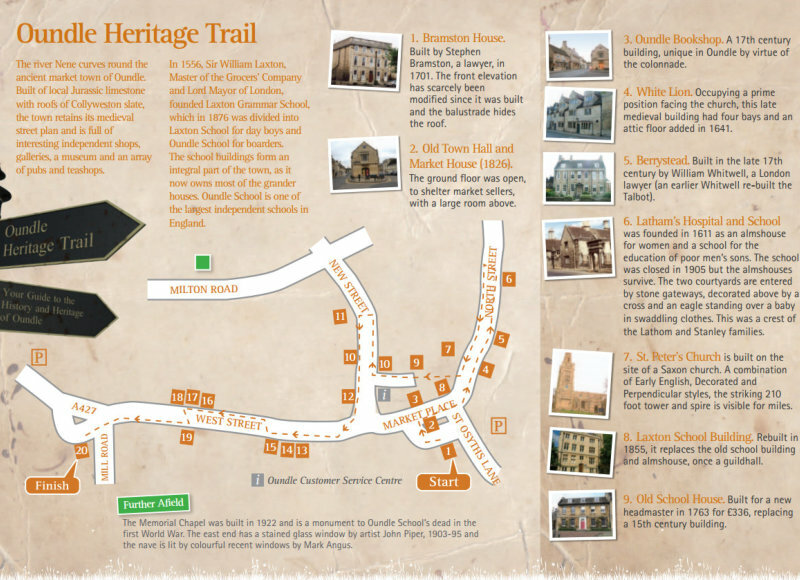 Description: More of a relaxed stroll than a full-on ramble, this walk will take you around the historic market town following the ‘Oundle Heritage Trail’ where you will visit various interesting points in the town which was first granted its market charter in 972. Description: Apethorpe is a charming village 4 miles from the Park, surrounded by an expanse of Northamptonshire countryside. 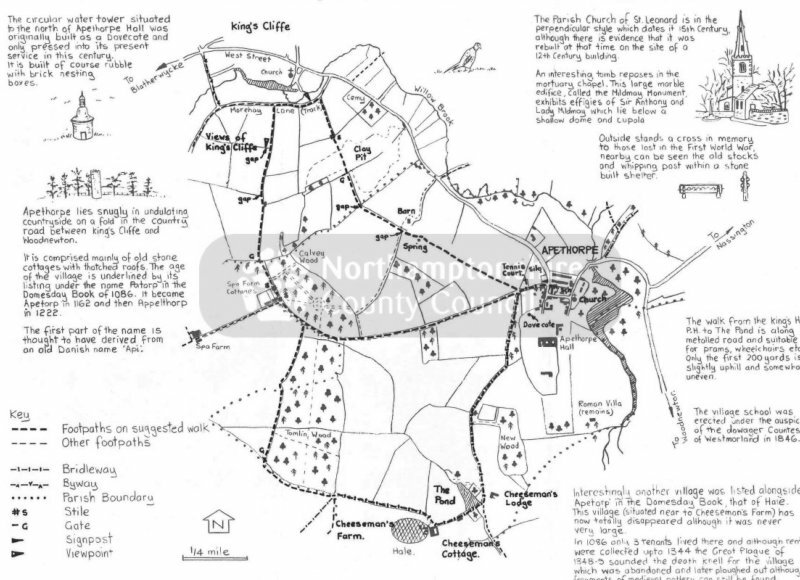 You will probably park near the Kings Head and then venture off in the direction of Kings Cliffe and then skirt the edge of the village before turning on your long loop back to Apethorpe. 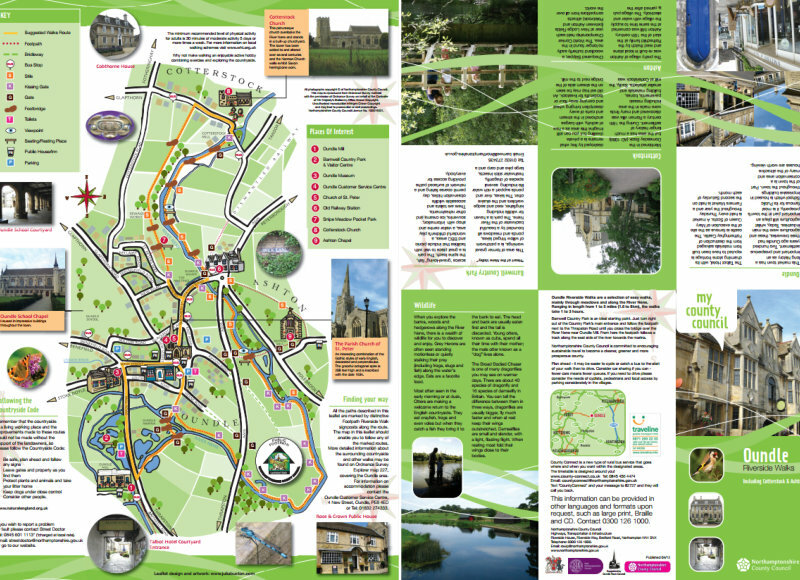 Description: If you park in the centre of Oundle (just 4 miles from the Park) this circular walk will take you through the historic town and out towards the small village of Cotterstock before veering back on a long loop following the River Nene towards Oundle. Description: Ashton (just 5 miles from the Park) is a ‘chocolate box’ village with thatched cottages and the Chequered Skipper pub nestling on the village green. 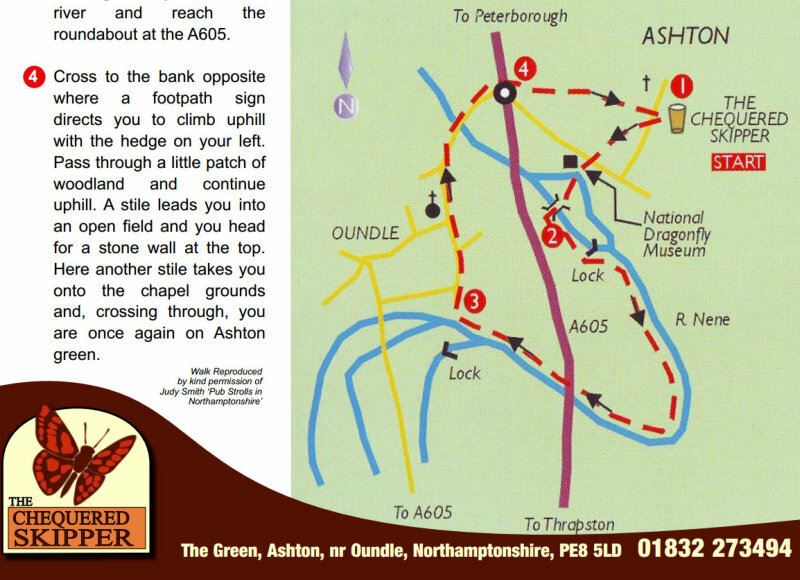 Your walk starts and ends here and takes you out on a journey following the River Nene and then in and out of the town of Oundle. 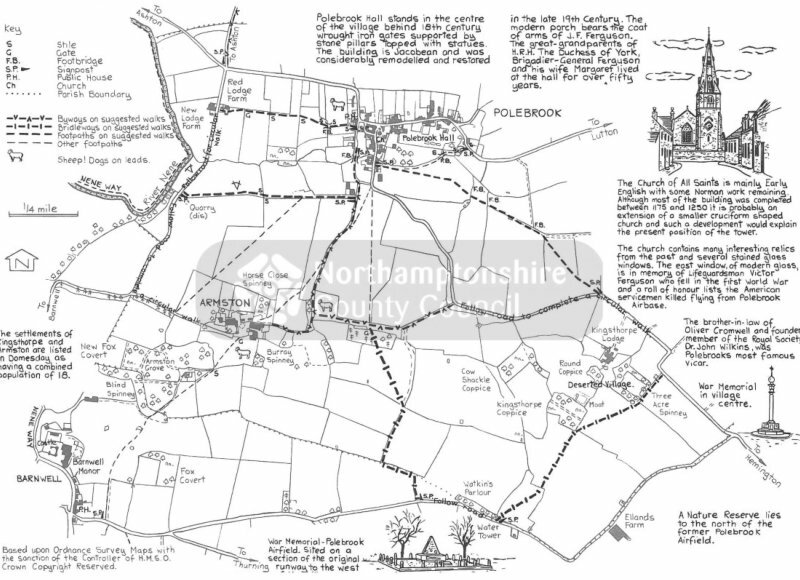 Description: It is suggested you park near to the Kings Head pub in Polebrook (a 10 minute drive from the Park) to start this walk that takes you out into the Northamptonshire country side and past Polebrook Airfield where Clark Gable was based for a time in WW2. 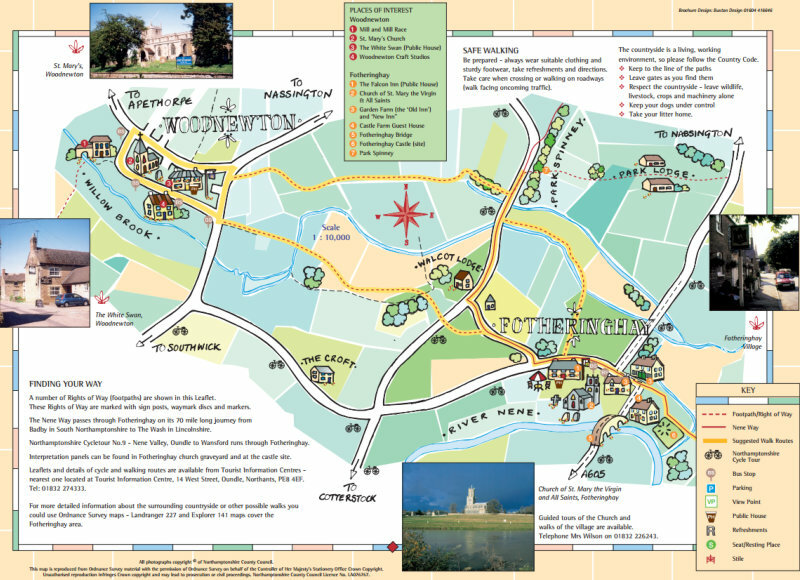 Description: A short circular walk starting from Fotheringhay (just 2 miles from the Park) across the countryside footpaths to Woodnewton and back. 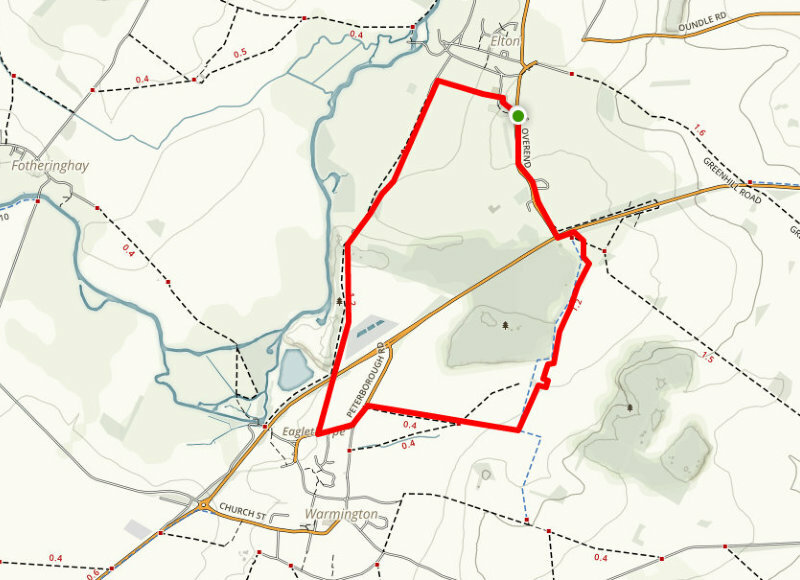 Description: A circular walk that starts in the village of Elton (2 miles from the Park) and heads off to Warmington before snaking back through the Elton Hall estate. Description: A good length walk from Yarwell to the historic market town of Oundle that takes in sections of the Nene Way and passes through the villages of Fotheringhay, Warmington and Ashton all of which have pubs if you need a refreshment stop.